Bayambang, officially the Municipality of Bayambang, is a 1st class municipality in the province of Pangasinan, Philippines. According to the 2015 census, it has a population of 118,205 people. It previously included the municipalities of Bautista, Alcala, Sto. Tomas, Rosales, Paniqui, Gerona and Camiling, Tarlac. It was founded in the 16th century by Agalet, an Aeta. Bayambang is the former seat of the 5th Capital of the Revolutionary Philippine Republic. It celebrates its Malangsi Fishtival (1st week of April, "Kalutan tan Gayaga ed Dalan"). 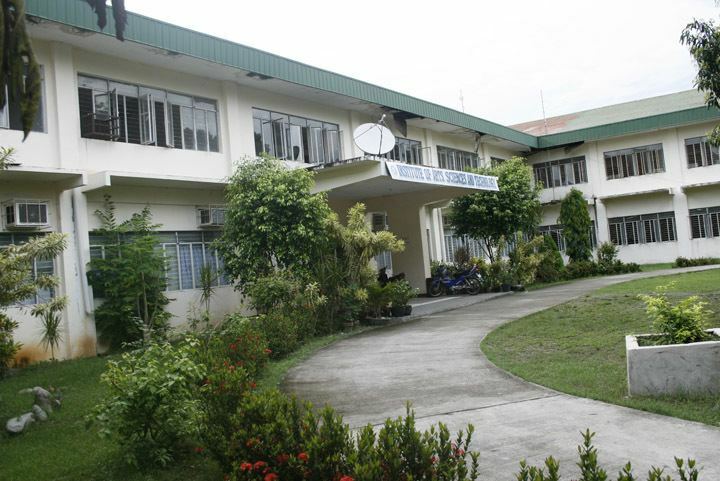 Bayambang is the seat of the Pangasinan State University, the Colleges of Nursing and Education. 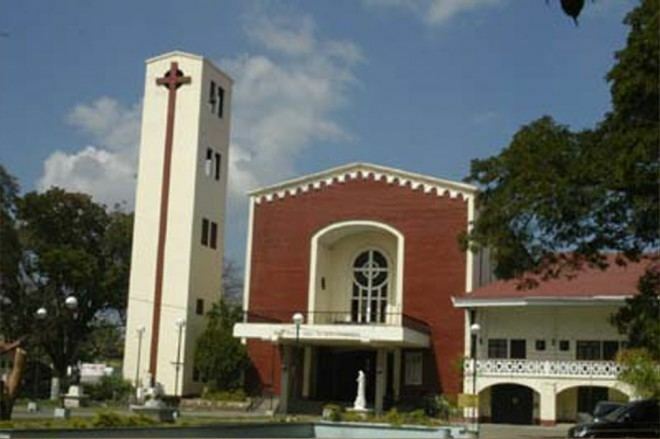 The municipality maintains close relations with San Carlos City and Malasiqui, with whom it would partition the impoverished municipality of Basista if the said town would choose partition instead of reunification with San Carlos City. The name of this town according to the legend, came from the name of a plant called "balangbang" (Bauhinia acuminata) which grew in abundance during the early days. "Culibangbang" leaves were used for bulalong Iloko or sinigang. The verdant hills of Bayambang were almost covered by these plants. The people made pickles out of them. As years passed by, these plants became extinct in the vicinity, but the name "Bayambang" which sounds like an echo of the plant's name, was retained and was given to designate this town. Others believed that the name of the town came from the once numerous "Culibangbang" trees, misunderstood as "Bayambang" by the Spaniards when they first came to this town. Telbang (Bagbag in Ilokano, Dapdap in other dialects, scientific name: Erythrina variegata Linn. var. orientalis, Linn.) was the original Bayambang according tales. Bayambang is not a tree name, but a plant name: Celosia - Deeringia polysperma (Roxb.) Moq. (as C. polysperma Roxb.). Bayambang is bounded on the north by Malasiqui, on the south by Camiling, on the east by Bautista, and on the west by Urbiztondo. Bayambang is the southern-most town of the province of Pangasinan. 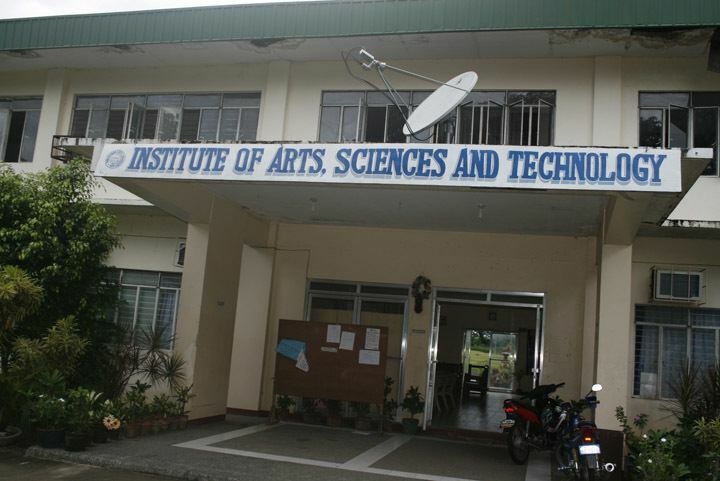 It is the gateway to Tarlac Province in the south. The town's topography or terrain varies from rolling lands and hills to generally flat plains. Its climate is marked by the wet season from June to October, and dry season from November to May. The “Awarans” account that Benaldo Gutierrez and Honorato Carungay, Bayambang was founded in the early 16th century by an Aeta, Agalet. Bayambang was inside Inirangan and Hermosa, then re-located to Telbang and southern Poblacion, the Old Bayambang. In 1897, the first "Juez de Cuchillo" executed residents and burned houses. On November 1899, Emilio Aguinaldo designated Bayambang as Pangasinan capital (also during the Japanese Regime), the seat of our short-lived Philippine Republic, due to capture by Gen. Arthur MacArthur of Tarlac on October 12, 1899. Jose P. Rizal visited Camiling, Tarlac's Leonor Rivera, since it was formerly a part of Bayambang. 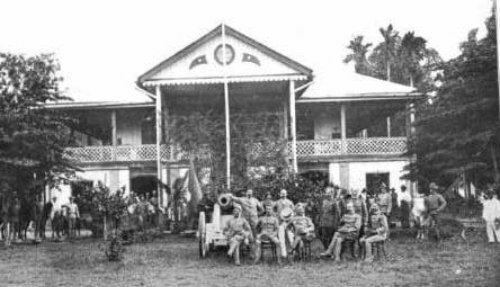 Antonio Luna built a camp in Bayambang. Dr. Diaz became Governor under the Japanese Imperial Government and held Office in Bayambang, at the Eulogio Dauz residence (junction of Quezon Blvd. And M.H. Del Pilar streets). Bayambang was the seat of the UNESCO National Community Training Center. . Vicente Cayabyab, Gobernadorcillo was the first Chief Executive of the town during the Spanish Regime followed by Mauricio de Guzman, first Cabeza de Barangay (Municipal Captain). Honorato Carungay, Lorenzo Rodriguez and Julian Mananzan succeeded him, and later, Saturnino, Evaristo Dimalanta as president. Lauriano Roldan became the first Civil Government President, and succeeded by Alvino Garcia, Mateo Mananzan, Gavino de Guzman, Marciano Fajardo, Agustin Carungay, Emeterio Camacho, and Enrique M. Roldan. The Mayors were: Gerundio Umengan, Leopoldo Aquino, Sr., Ambrosio Gloria (appointed by the PCAU of the Army), Bernardo Lagoy, appointed 1946, Leopoldo Aquino, Sr. (reelected), Eligio C. Sagun (1952-1955), Don Numeriano Castro (appointed), Salvador F. Quinto (1956-1959), Miguel C. Matabang (1960-1963), Jaime P. Junio (1964-1986), Feliciano Casingal, Jr. (OIC), Don Daniel Bato (OIC), Domingo Tagulao, Calixto B. Camacho, Leocadio C. De Vera Jr and Engr. Ricardo M. Camacho. Dr. Cezar T. Quiambao is the incumbent Municipal Mayor. In celebration of its 400th year Founding Anniversary on April 5, 2014, Bayambang is declared as the new holder of the Guinness world record for the longest barbecue grill. Turkey's 6.116-kilometerlong grill record was exceeded by the eight-kilometer interconnected grill pads of simultaneously grilled 24,000 kilos of tilapia. Proclamation No. 131 (Office of the President of the Philippines on March 24, 2011) has declared every 5th day of April as a Non-Working Day in Bayambang. The Cojuangco's Central Azucarera de Tarlac Realty Corporation (CAT) claims ownership of 386.8-hectare estate in 12 barangays in Bayambang, including the site of the 289-hectare Camp Gregg Military Reservation (declared on October 13, 1903 by the US colonial government, turned over to the Philippines on March 27, 1949, and particularly to the Bureau of Lands on September 29, 1949). The Alyansa ng mga Magbubukid sa Gitnang Luson (AMGL, Peasant Alliance in Central Luzon) opposed the Cojuancos. Dr. Cezar T. Quiambao is the incumbent Municipal Mayor and Raul R. Sabangan is the Vice Mayor. The Municipal Councilors and Officials are: Mylvin "Boying" Junio, Joseph Vincent Ramos, Philip Dumalanta, Benjie De Vera, Junie Angeles, Martin Terrado, Catherine De Vera, Amory Junio and Rogelio P. Dumalanta, Liga ng mga Barangay Pres. and Philip Braham F. Medrano, SK Federation President. 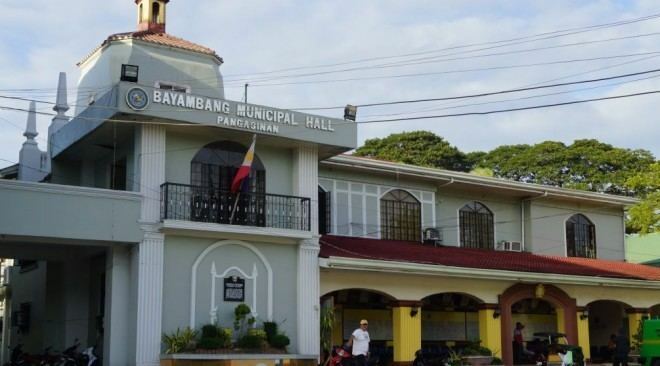 Bayambang is politically subdivided into 77 barangays, 11 of which are urban barangays and 66 are rural barangays. Binasuan is a colorful and lively dance from Bayambang in the Pangasinan province shows off the balancing skills of the dancers. The glasses that the dancers gracefully, yet carefully, maneuver are half-filled with rice wine gracefully who whirl and roll on the floor. The Farmers parade displayed and corn husk products.